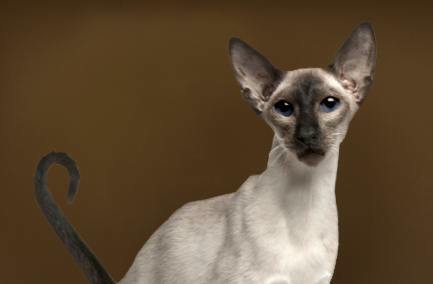 The ideal Balinese is a svelte cat with long tapering lines, very lithe but strong and muscular. The Balinese is unique with its distinct range of colors and silky coat that hides a supple and athletic body. Balinese cats derived from a long hair mutation of Siamee cats in the 1940’s.Their long hair distinguishes them from Siamese, but coat colors and points are otherwise the same. Their disease risks are very similar to Siamese cats and include eye and kidney disorders.